In the heart of America, in the world's most secure prison, something horrible is growing in the dark. A wave of cannibalism and fear is sweeping across the heartland, spreading carnage and infection in its wake. Captain Bannerman Clark of the National Guard has been tasked with an impossible mission: discover what is happening — and then stop it before it annihilates Los Angeles. 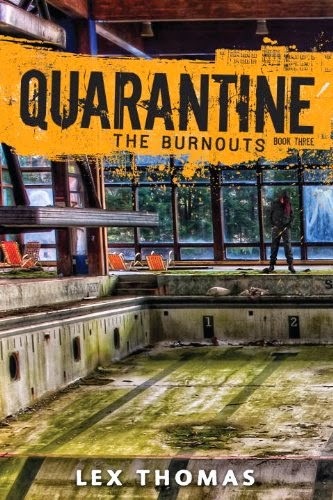 In California, he discovers a woman trapped in a hospital overrun with violent madmen. She may hold the secret to the Epidemic but she has lost everything — even her name. David Wellington's first novel, Monster Island, explored a world overcome by horror and the few people strong enough to survive. Now he takes us back in time to where it all began — to the day the dead began to rise. I recently acquired my copies of this series from my parents house during a trip back home in August. Since I've only read the series once and that being many years ago I figured now would be the perfect time to reread them. What little I remember about the series I liked so I was really hoping to have the same reaction this time around. Unlike my first read through, I decided to read these in chronological order this time around. So without further ado here is my Reread review of Monster Nation by David Wellington. 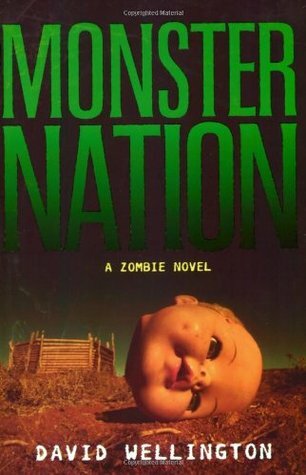 David Wellington's Monster Nation in many ways is your typical zombie story. Civilians fight for their lives, zombies eat people, bad stuff happens. However, what makes this story unique is the characters. I'm not usually one for sentient zombies but I did enjoy getting to read Nilla's undead perspective on things plus, if their was ever a more pitiable zombie Nilla would be it. As for the humans, I really liked Bannerman Clark. He was the right man for the job at the wrong time. To understand what I mean by that you'll have to read the book. Another thing I really enjoyed about Monster Nation was how fast paced the story was. I definitely believe this story could have become stale if the characters had lingered in one place too long but since we move around so much it kept things fresh and exciting most of the way through. The only downside to the story for me was again the mythical aspect. I don't enjoy some higher power pulling the strings, I personally prefer viruses gone wrong or a nuclear accident making the dead come back to life. That being said, at the very least, the deity puppetmaster isn't seen all that much throughout the course of the book so my annoyance was kept to a minimum. All in all was Monster Nation a good story? Yes. Like I said, I enjoyed the characters and the story was exciting if not gripping. Plus, their were some stellar zombie kill scenes that as a fan of the genre I appreciated the originality in those moments. With that being said, I'll be rating Monster Nation by David Wellington ★★★★. *Copy purchased. All opinions are my own and I was not compensated in any which way for providing them. 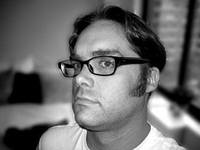 David Wellington is a contemporary American horror author, best known for his Zombie trilogy as well as his Vampire series and Werewolf series. His books have been translated into eleven languages and are a global phenomenon. His career began in 2004 when he started serializing his horror fiction online, posting short chapters of a novel three times a week on a friend’s blog. Response to the project was so great that in 2004 Thunder’s Mouth Press approached David Wellington about publishing Monster Island as a print book. His novels have been featured in Rue Morgue, Fangoria, and the New York Times.